In a small bowl mix together chili powder, oregano, cumin, and garlic powder. Place tenderloins or chops on a large platter. Rub the dry mixture over the pork, cover and refrigerate for 2-24 hours. Grill the pork over medium coals or this can also be broiled. Turn occasionally. 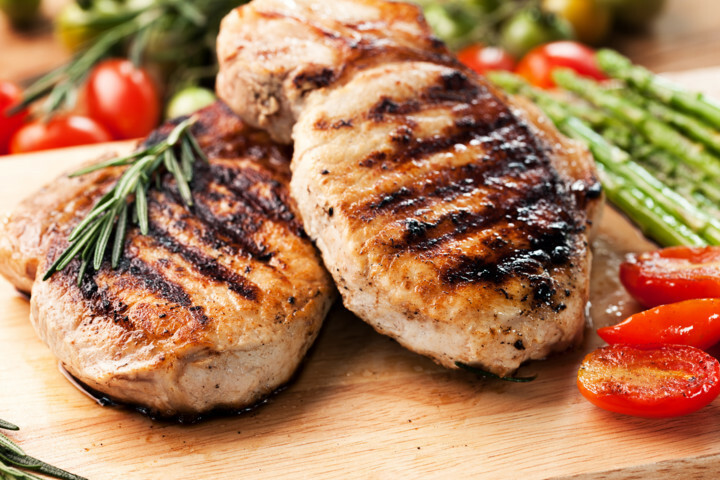 Tenderloins will take approximately 25-30 minutes and pork chops will be done in approximately 10-15 minutes. A meat thermometer should read 155-160 degrees and there should also be a hint of pink in the center.